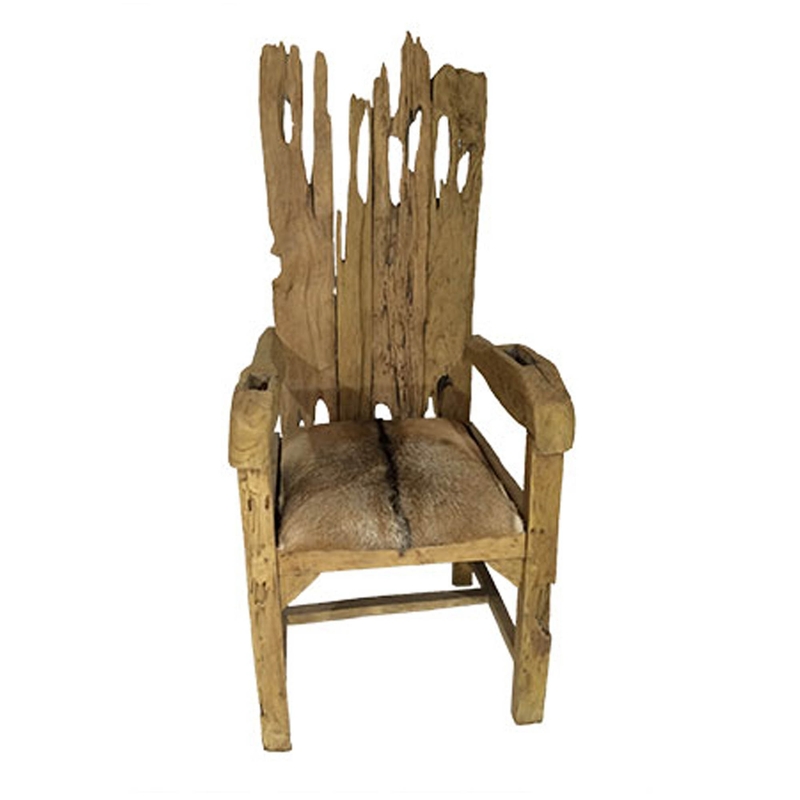 Make your home feel a lot more stylish and charming by introducing this beautiful Teak Root King Chair with Goat Skin Seat. This chair has a beautiful design that looks very stylish and original. The teak root base of this chair fit in perfectly with the rustic style and modern goat skin seat.